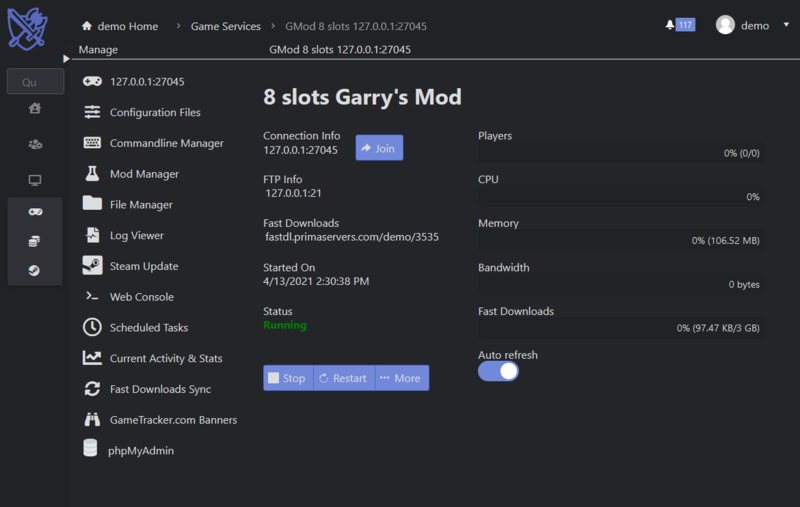 You are able to mount other games to your server from the control panel - you are able to mount as many games as you wish to through our highly customized control panel. Does a plugin require access to a SQL database? When ordering your server, you get access to a MySQL database which you can control with phpMyAdmin. You have the ability to change things like startup map, and you can even quickly and easily get your Steam Workshop collection on your server through the command line!